Vinyl records have experienced a resurgence in popularity in the past several years, leading to a significance increase in production for companies such as Nashville’s United Record Pressing, which has pressed albums from numerous artists, including the Pistol Annies, Taylor Swift, Lee Ann Womack, and most recently, aided Jack White in breaking the Guinness World Record for making a complete record–from studio to fans–in the least amount of time. 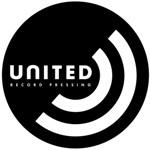 Due to the uptick in demand, United Record Pressing, LLC, will open a new expanded facility located at 451-481 Allied Drive in Nashville. The 142,000-square-foot facility will allow United to bring more presses online and increase their capacity, while streamlining the processes. The company’s current 65,000-square-foot facility includes two buildings, and 22 presses. They hope to gain an additional 16 presses in the second facility this year. United’s current location at 453 Chestnut Street produces between 30,000 to 40,000 records per day. The company was established in 1949, and has been operating in the same location since 1962, when they pressed the first Beatles 7″ record in America, as well as many Motown classics. “We are proud to be making this investment in the Nashville community and appreciative of all the support we have received. We are excited to build upon our great heritage and continue to manufacture innovative, high-quality vinyl records in the USA,” noted Mark Michaels, United’s CEO.